Flexible template options that help you build successful emails, fast. You don’t need to be a HTML whizz to build beautiful emails anymore. 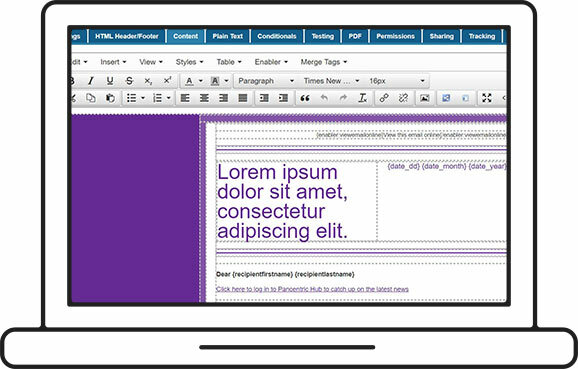 Our straightforward drag and drop editor allows you to create stunning, mobile responsive and smart templates. Pick a template, then simply drag your structure in place, drop in your content and away you go! Finding the right imagery for your campaign can sometimes be a challenge – but not with Enabler. Enjoy access to a our built-in image library of over 500,000 copyright-free stock images. With so much choice, you’ll never struggle for imagery again. Share the assets you’ve used with other people across your organisation. Our sharing folder structure means you will never be left wondering “Where did Clare get that glorious image from” – you’ll have it in your library already. 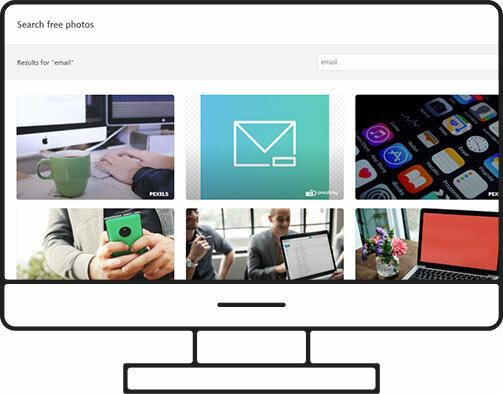 Easily share images, links, files and entire campaigns! Got someone in your team who loves to code? Introduce them to our flexible HTML template editor. Using Enabler’s WYSIWYG editor allows for complete control over your templates, right down to the source code itself. 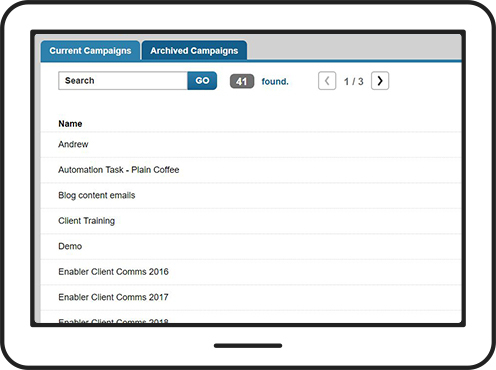 You can also build emails externally and import them into Enabler. Fun for all the email family. 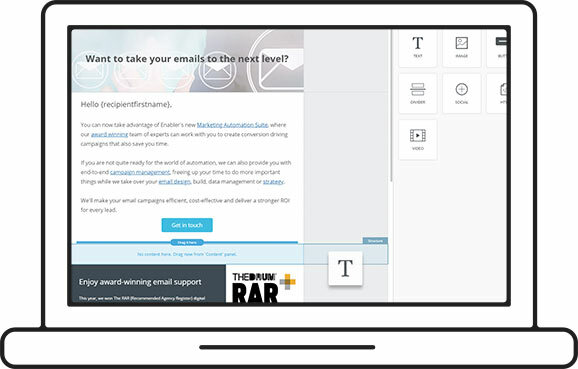 See Enabler in action and start unlocking the potential of your email marketing.